The little plane has been flying across the sea for eight hours. Huge black clouds surround it. Rain pours in. Wind slams. The aircraft is tossed around like a leaf. The pilot stares into the darkness. How much fuel is left? Is she flying in the right direction? How long till she reaches land? 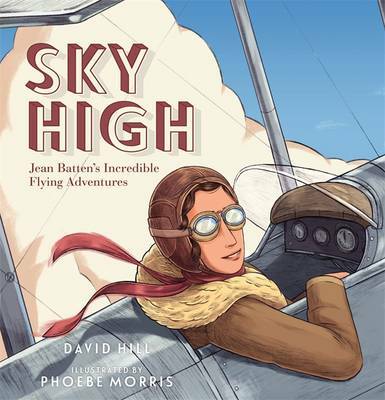 In 1934, Jean Batten set a world record for the fastest flight from England to Australia. Just two years later, she made the first-ever solo flight from England to New Zealand. Jean's fearless determination and flying skills helped her survive storms and crashes, as she crossed great oceans and lonely deserts in her tiny plane. This gripping true story with its dazzling illustrations is the third from the award-winning creators of the picture books First to the Top and Speed King.